GVL / Luke Holmes - Students walk around campus on Monday, Feb. 20, 2017. An email was sent out to various members of the Greek community Thursday, March 16, warning students to be thoughtful about how they talked about the closing of the Delta Upsilon chapter at Grand Valley State University. Since the official announcement, the decision to close down a GVSU fraternity has spread to local and state-wide media stations. After a hearing between board of directors and chapter delegates Friday, Feb. 17, the Delta Upsilon International Fraternity Board of Directors officially announced Thursday, March 16, that they had decided to revoke the charter of the GVSU chapter. According to a press release from the Delta Upsilon International Fraternity, the Delta Upsilon fraternity violated a number of Fraternity Loss Prevention Policies regarding alcohol and drugs during the fall 2016 semester. The Board of Directors also identified multiple reports of violations of university policies over the course of the past 18 months. Due to the elimination of the GVSU chapter, all fraternity operations have been immediately shut down. Members of the chapter were given alumni status and associate members have been released from the fraternity. Fraternity members living in the chapter housing have individual leases with the third-party owner and will be able to fulfill their leases for the remainder of the school year according to the official press release. The International Fraternity will consider reinstatement of the chapter once all current undergraduate students are placed on alumni status, have graduated or have left GVSU. Various members of the previously Delta Upsilon chapter at GVSU were contacted via email following the announcement but did not respond with comments. 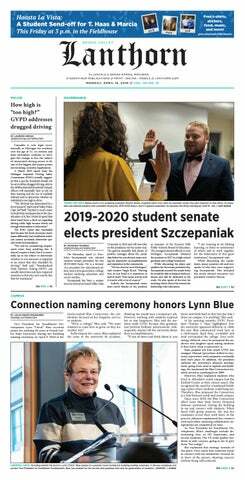 "The national board of Delta Upsilon voted to revoke the charter at Grand Valley for violations of the fraternity’s national policies," said Eileen Sullivan, vice provost for student affairs and dean of sudents. "We respect the board’s decision to regulate their member organization. "